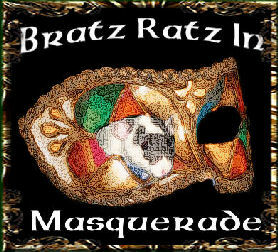 Welcome to Bratz Ratz In Masquerade. My rats are bred for health and temperament first and foremost. Color, body contour are secondary. My goal is to breed a better quality, longer living pet rat. I breed masked, Burmese, Siamese, and Mink colors in both Standard and Dumbo ear. I am located in North Las Vegas, Nevada. Please contact me if you have any questions regarding my rats and future breeding.